Are you searching for short-term office space in Tampa? PS Executive Centers invites you to consider a location in the I-75 corridor that offers you access to Downtown, West Shore and the airport in minutes. Our building is located in Highland Oaks, an 88-acre Class A business park on the west side of I-75, one exit south of the I-4 interchange. The PS facility is a great place for you to work and meet with your clients. It’s the perfect location, not only for its accessibility, but because it is close to Brandon and local amenities in the immediate area including over 60 restaurants and hotels. Over the past decade, short term and temporary office rentals have become widely popular. This flexibility has become increasingly popular with small business owners, consultants, attorneys and entrepreneurs. 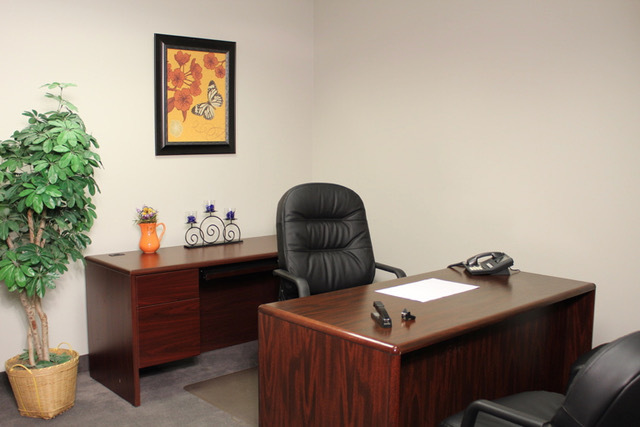 At PS all of our private office rentals are available by the hour, day or month. Each office comes fully furnished with high-speed Internet service, and we offer a wide range of productivity support services as well as conference room and small meeting room rentals, mail handling and receptionist and telephone answering services. Call Diane at (813) 314-2200 to schedule a tour.